Early American photography closely aligns with images of the Wild West, cowboys, outlaws, and frontier people in washed-out black-and-white or sepia tones. Just as prominent are portraits of Native Americans seated in traditional dress, staring straight into the camera or in profile. 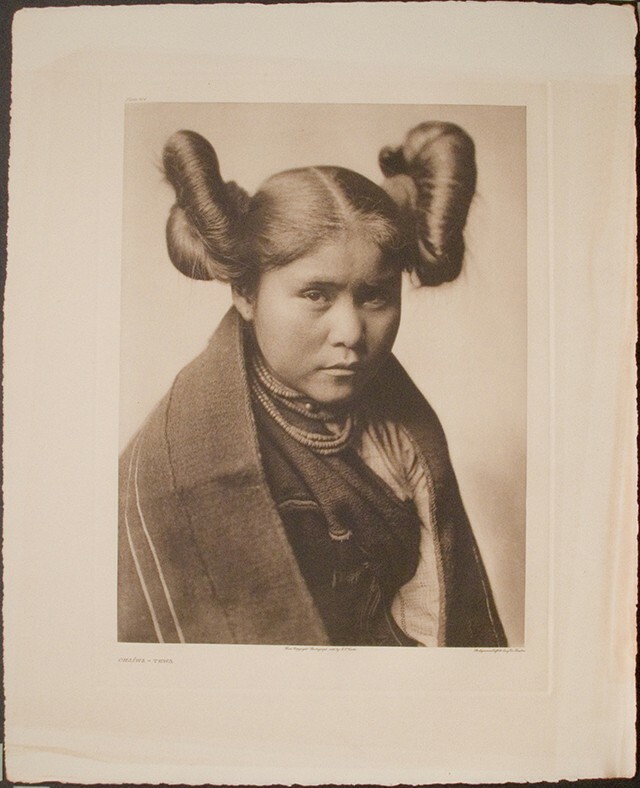 Much of the latter could be attributed to the work of Edward S. Curtis, a white European-American who, from 1907 to 1930, made it his life’s work to create a record of every major tribe in the United States. In the end, he produced between 40,000 to 50,000 photographs and 10,000 wax recordings documenting over 80 tribes. Now, the Westmoreland Museum of American Art in Greensburg will examine his work with Mingled Visions: The Photographs of Edward S. Curtis and Will Wilson (March 30-June 30), a traveling photography exhibit and event series examing the effects of colonialism while highlighting Native American art and culture. It will show in tandem with The Outsider’s Gaze, a second exhibition exploring the role of 19th and early 20th century European-American painters and sculptors in creating and reinforcing Native Americans stereotypes. The show includes a number of Curtis photographs along with large tintype prints by Will Wilson, a prominent Diné (a preferred term for Navajo Nation people) photographer who captures Native Americans as they live today. 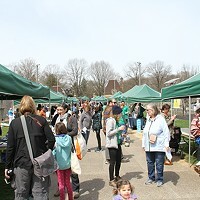 The show came together under the guidance of Anne Kraybill, who took over as Westmoreland’s director and CEO in August. She was inspired by a similar exhibition showcased during her time at the Crystal Bridges Museum of American Art in Bentonville, Ark., which put Curtis’ imagery in dialogue with that of Wilson. Though Curtis made major contributions to the preservation of Native American history, Kraybill believes re-evaluating his work is essential. In 2012, Wilson launched the Critical Indigenous Photographic Exchange (CIPX), a series intent on supplanting Curtis’ gaze as an outsider with a truer, contemporary vision of Native North America. Even so, he still values the efforts of Curtis, who felt an urgent need to document what he believed was a “vanishing race,” as Native American people were forcibly removed from their lands to live on reservations. Using the tintype process, Wilson produces 8-by-10 negatives of subjects who strike Curtis-like poses while incorporating their own outfits, accessories, and props. Negatives are then gifted to the subjects, while Wilson keeps digital files for his own use. Chief curator Barbara Jones sees Mingled Visions and The Outsider’s Gaze as an opportunity to diversify the Westmoreland’s collection and present programming that would introduce visitors to new ideas and perspectives. In conjunction with the exhibits, the museum will also host a variety of events, such as a performance by the 1491s, a Native American sketch comedy group, and a dinner and discussion by Chef Sean Sherman, a member of the Oglala Lakota tribe and expert in indigenous North American cuisine. Jones also views the exhibits as raising awareness of the Native American experience in Southwestern Pennsylvania, a region where she says many tribes disappeared by the beginning of the 19th century. As part of that mission, the museum drew up a land statement "to acknowledge the Adena, Hopewell, Monongahela, Delaware, Shawnee and Seneca-Cayuga communities on whose land the museum stands.” Visitors will see and hear the statement, which will become a permanent part of the museum’s signage. “It helps to spread this information and this understanding that there were lots of people here before us,” says Jones.